When negotiating an agreement, it is wise to keep a fall back plan. This is known in the world of negotiators as the Best Alternative to a Negotiated Agreement (“BATNA”). Having a strong BATNA helps parties negotiate from a position of strength. Parties without a BATNA may feel insecure and more likely to give in. It is not a good idea to negotiate by focusing on a bottom line. When parties are concerned with a bottom line, they may give too much or take too little and end of feeling like they never really reached an agreement. Parties are likely to defend against the bottom line and make decisions against their own best interest. In the end, everyone ends up feeling tense, inflexible and less willing to find a mutually beneficial agreement. In contrast to a bottom line, parties with a BATNA are not interested in the objectives of the negotiation, but rather the course of action if an agreement is not reached within a certain time frame. Having a BATNA is a constructive approach because a party is less likely to accept an unfavorable agreement or a self defeating one because there is a viable option outside of the negotiation. It is a challenge for a party to create a BATNA. The process involves problem solving, brainstorming and thinking of viable alternatives. By carefully reviewing options and broadly discussing and exploring alternatives, parties give themselves an opportunity to discover the most practical and attainable solution. Such a solution is likely to result in a strong BATNA. Why Is It Good to Have a BATNA? Having a BATNA is like having a home insurance policy. Even people with home insurance policies do not want their homes to burn down (for example). Clearly, parties start the process of negotiating with hope and the desire that a mutually agreeable decision will be reached. However, if it is clear that the negotiation is not leading to a beneficial outcome, the BATNA is on the back burner and the negotiator is aware of the consequences of failing to reach an agreement. In such an instance, the negotiator will be more willing to stop a process that is unproductive. What if a Party Does Not Have a BATNA? Without a BATNA, a party may feel unsure and shaky. The party may feel internal pressure to reach an agreement without awareness of what will happen if the negotiations fail. For example, they may be overly optimistic about proposed agreements which have realistic and unexamined problems. The parties may feel forced to reach an agreement and if they fail to do so, may feel very negative about further prospects of working through the issues with the other party. Arguing about positions induces parties to lock themselves into one view or approach during a negotiation, even if taking such a stance is not mutually beneficial to either party. Focusing on positions can even prolong a dispute and result in a less optimal outcome. If the parties have an ongoing relationship, that relationship will likely deteriorate as a result of locked positions. Those who take hard positions may be too withholding and damage the relationship, and those who focus on a position in a soft way may concede too much. In any event, the parties are less likely to arrive at an optimal agreement by focusing on positions, regardless of the method of doing so. Those who successfully negotiate often find that parties who focus on interests are more likely to reach an agreement. The best case scenario is one in which the parties work together to solve a problem. When the focus is on the problem and not on the people, parties are more likely to be open to exploring possible solutions. Most parties want to achieve an outcome in a friendly and time efficient manner. Consider this classic example. Two sisters each want one orange. Each insists that she should get the entire orange. 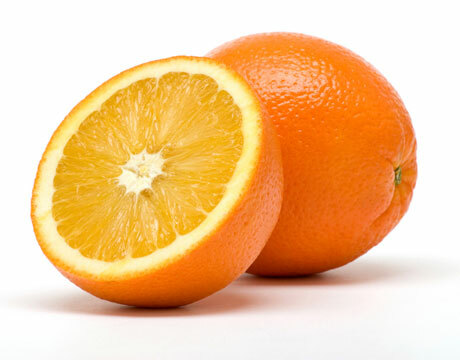 Ultimately, they decide to cut the orange in half and each take one half. The first sister then peels off the outside of the orange and throws it away in order to eat the fruit in the center. The second sister dies the opposite, keeping the orange peel in order to use its shavings to flavor her cake. Had the sisters discussed their interests – one eating the fruit and the other needing the peel to bake a cake – each would have had twice as much of what she needed. However, they locked themselves into positions rather than focusing on their interests. If the parties focus on the bottom line, they stall productive discussions or end negotiations all together. In contrast, parties who discuss options for mutual gain and explore what each can get are more likely to become problem solvers. In short, be reasonable. Leaving options on the table during the process of negotiating is a good way to stay in the discussion without forcing a result. It is best to keep emotions out of any negotiation in order to make decisions that may lead to a resolution based on reasonable presentations of each party. With that being said, it is not helpful for any party to pressure the other. It is hard to resolve anything on the basis of pressure. Stay tuned to part three which will highlight specific, helpful techniques.